Freeform has released promotional photos and an official synopsis for the eighth episode in Shadowhunters‘ second season. 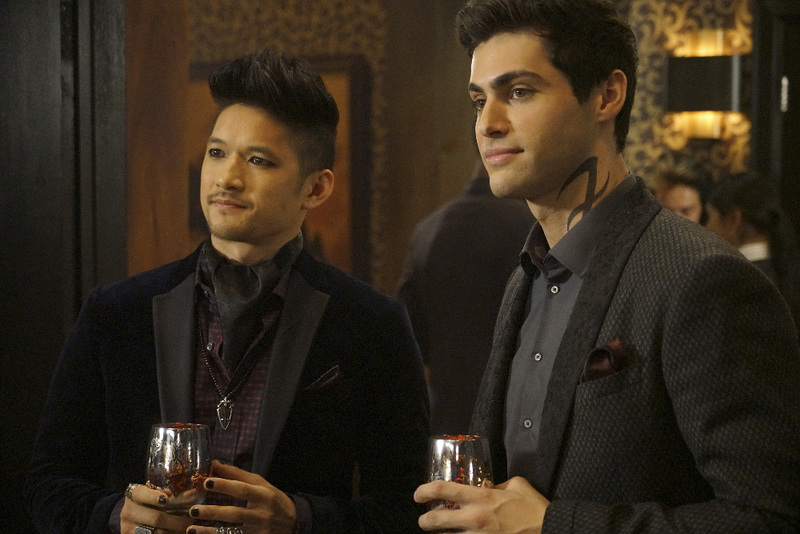 The episode, titled “Love is a Devil,” finds our Shadowhunters (and Downworlders) gathering for a celebration as Max Lightwood makes his return. Here are the stills for the episode airing Feb. 20. SHADOWHUNTERS – “Love Is a Devil” – Max’s Rune Ceremony brings everyone’s fears to the forefront in “Love Is a Devil,” an all-new episode of “Shadowhunters,” airing MONDAY, FEBRUARY 20 (8:00 – 9:00 p.m. EST), on Freeform. (Freeform/Ian Watson) KATHERINE MCNAMARA, HARRY SHUM JR.
Tasked with arranging his brother Max’s Rune Ceremony, Alec decides this would be the perfect opportunity for his family to get to know Magnus. But with tensions flying among the different Shadowhunters, Max’s big event quickly becomes an evening where they all must face their biggest fears. Meanwhile, Simon makes a bold move as Isabelle finds an unlikely new ally. Also excited for the rune ceremony, but the age for it is 12 unless they are ignoring that bit and/or upped Max’s age.